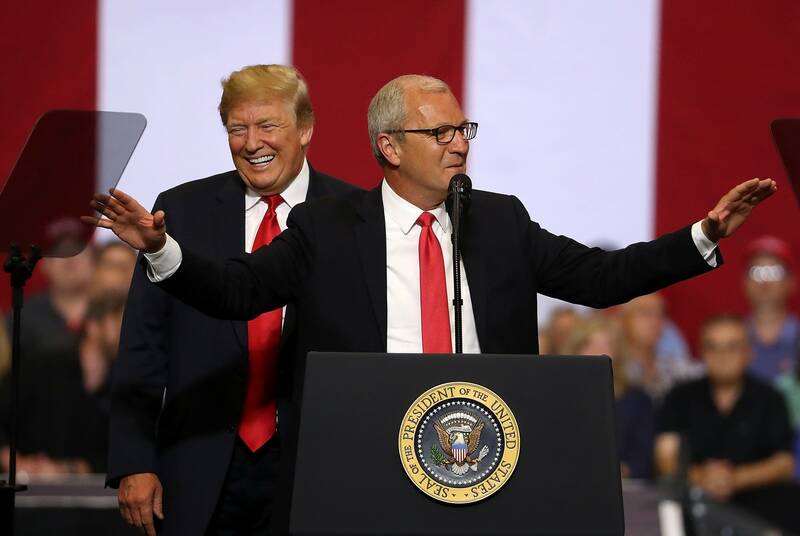 Kevin Cramer is about to get a third in-person boost from the White House in his bid to outseat the state's incumbent Democratic U.S. senator. 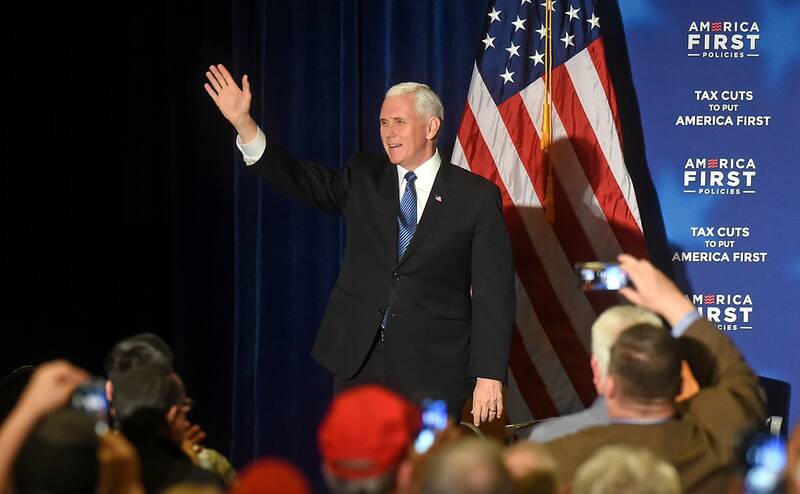 Vice President Mike Pence is scheduled to make a stop at Grand Forks' Air Force base Wednesday afternoon, to speak to military personnel and hold a political fundraiser for Cramer. It's the second time Pence has campaigned for Cramer in North Dakota this year. Last month President Trump made a campaign stop in Fargo. All of that high-profile attention shows just how high the stakes are in the state's tight U.S. Senate race. President Trump is popular in red-state North Dakota, where he won 63 percent of the vote two years ago. And both candidates for Sen. Heidi Heitkamp's hotly contested U.S. Senate seat are stressing their ties to the president. Cramer, the Republican in the race, is North Dakota's lone U.S. representative. He was first elected to the House in 2012, and is now serving his third term. He's challenging Democratic incumbent Heidi Heitkamp, who narrowly won her Senate seat the same year Cramer entered the House. Cramer has promised to fully support the Trump agenda. A recent Cramer campaign ad highlights Trump's Fargo rally last month: "Heidi and every single Democrat voted against our tax cuts," the president said during the visit. "You need a senator who doesn't just talk like they're from North Dakota, but votes like they're from North Dakota, and that is Kevin Cramer." Cramer's campaign said he wasn't available for an interview for this story. Where Cramer's campaign game plan is fairly straightforward, Heitkamp has a more complicated pitch. She's a Democrat in a red state, so she's stressing her independence from party politics. "That's why I voted over half the time with President Trump. And that made a lot of people in Washington mad. But when I agree with him, I vote with him.," she said in a recent campaign ad. "And if his policies hurt North Dakota, he knows I'll speak up. I approve this message because I'm not going to be a rubber stamp for anybody. I only answer to you." Heitkamp's office didn't respond to an interview request. University of North Dakota political science professor Mark Jendrysik said Heitkamp has little choice but to embrace the president, who had called her to the stage and singled her out for praise when he visited North Dakota last fall, but said Heitkamp voted the wrong way on taxes, health care reform and abortion during his Fargo rally in June. "You have to appeal to the voters, and the voters in North Dakota, a solid majority of them, like the president. They think he's doing a good job," Jendrysik said. "The old 'I'll work with the President when it benefits North Dakota,' that's a trope that gets played out again and again in political races." Cramer will get a fundraising boost from the Pence visit, Jendrysik said, but money isn't likely going to be an issue in this race. Cramer has raised about $3 million and Heitkamp has pulled in nearly $10 million. Outside groups are also expected to spend millions. There will be more than enough money in this race, Jendrysik said, to saturate the airwaves with ads. But he said he doesn't think big spending will tip the balance in such a lightly populated state. "This is a small state. This is the land of face-to-face retail politics, and I think people quite often make their voting decisions based on, you know, if I've met the person, I talked with them," he said. "Constituent service matters. ... And there's only probably going to be [about] 350,000 voters, so, theoretically, you could meet almost every single voter." Cramer and Heitkamp are both well-known across North Dakota, each with a long resume in state politics. Cramer benefits from the fact that Republicans own the state capitol, holding an overwhelming majority in the Legislature and every statewide office except Heitkamp's Senate seat. "I think Sen. Heitkamp is the last Democrat standing in a lot of ways," Jendrysik said. "She has that rare ability to appeal to people even if they disagree with her." According to polls, Cramer has a very slim edge in the race, and a relatively small number of voters have said they are undecided, three months before the election. Jendrysik said that means the race will likely come down to who has the best ground game, door-knocking and calling in order to get their voters to the polls on Nov. 6.